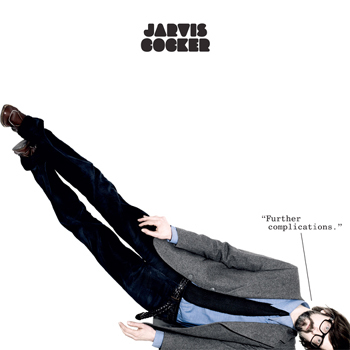 Jarvis sings and plays various bits & pieces. This applies to all the songs except Pilchard where Jarvis plays the guitar in the left-hand speaker (& Simon & Martin had a lie-down). Last year we were invited to play at the Pitchfork festival in Chicago during July. Steve Mackey (he plays the bass, you know) suggested that we try recording some songs with Steve Albini whilst we were in town. This made sense on many levels to go all that way just to play one show seemed a bit wasteful (eco-awareness) Plus, I had already decided that I wanted this record to be more of a group effort than the last one. So we had worked songs out in rehearsal rather than me delivering them fully-written & now I wanted to record them in an environment where we could all play at the same time & hopefully capture something of the spirit of a band all working together, all aiming in the same direction (though at what I really couldnt say). Electrical Audio (Albinis studio) is specifically designed to record bands in that way. Plus, it was very cheap. (The two songs we tried out in July worked out , so we booked time in January to finish the album. The pound collapsed against the dollar in the interim).